Passionately Supporting Children, Healthcare and Women in Israel and Canada. 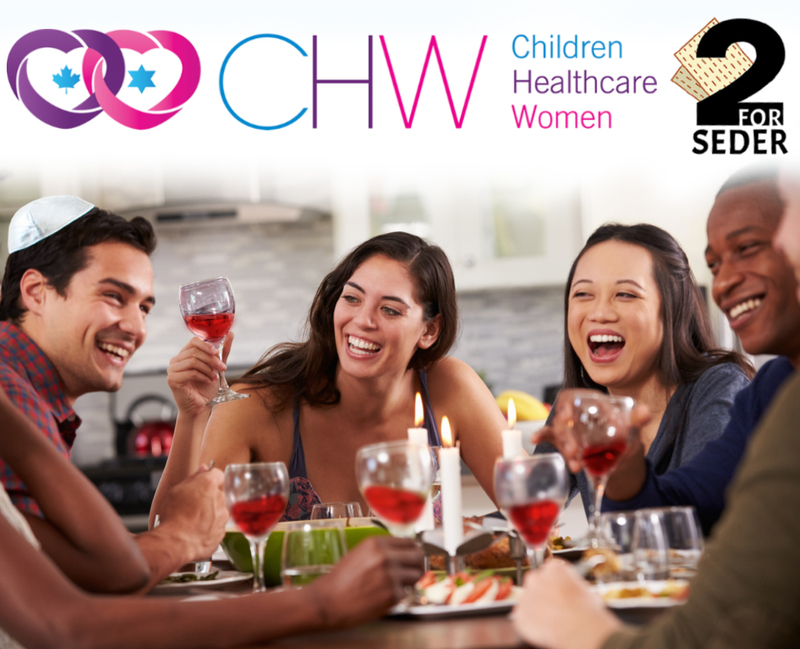 CHW is delighted to announce a partnership with 2 For Seder, created by Pittsburgh Idea Evolutions (PIE), an emerging non-profit based on the idea that every Canadian and American Jew can and should be involved in pushing back against anti-Semitism. This annual North American initiative encourages anyone holding a Seder to invite two non-Jewish friends or acquaintances who have never attended one to participate. To read more, click here! Click on the CLICK HERE TO REGISTER button below, and fill out your name and email address. Once you have filled out your details, you will then be prompted to register for your mandatory 2 For Seder Kit!